Today’s home improvement shows have helped to spark a major interest in home renovation projects. From touching up the bathroom to upgrading the kitchen, homeowners are taking on the task in earnest to create a more functional, beautiful space. The budget of your home’s remodel will greatly determine the outcome. The cabinets, for example, often take up the lion’s share of the kitchen budget, because of the high material and labor costs necessary to get the job done right. Kitchen cabinet refacing is one service that can prove to be wholly beneficial for your home and your wallet. Detail Design & Remodeling is proud to be your source for quality cabinet refacing in Atlanta and beyond, delivering long-term solutions that are as beautiful as they are cost-effective. Our home remodeling contractors strive to deliver the best results for your kitchen and bathroom cabinets. While our cabinet refinishing and resurfacing skills are well known in Northern Georgia, many people are not fully aware of what cabinet refacing actually is. Today, we’ll look into the basic process. When done, be sure to reach out to our cabinet resurfacing company to see how we can transform the look of your kitchen! Kitchen renovations are only as good as the design they are built from. Our design team can work with you to create dynamic design solutions that will create the best possible aesthetics for your kitchen. Delivering quality results will depend entirely on the precision of your cabinet refacing plan and how well you prepare for the task ahead. Our renovation contractors will begin by prepping the work area by laying tarps and masking the area to protect your counters, floors, and appliances from a myriad of damages such as scratches and stains. Contaminants such as dust can affect the finished quality of your refaced or custom cabinets, and our team works hard to ensure that every task is done as perfectly as possible. One the area is prepped, our cabinet contractors will get to work, scrubbing away any materials left on the surfaces. Grease, grime, and dust all work in tandem to wreak havoc on the finish of your new cabinets, making a thorough cleaning process necessary. Detail Design & Remodeling strives for optimal cleanliness, resulting in a better result that is sure to last a long time. Kitchen cabinets suffer a lot of abuse through the years, making the third stage of the process a vital one for success. Minor flaws and damage to your cabinet boxes can be remedied by our renovation experts, who will work to fill and patch every area that needs attention. 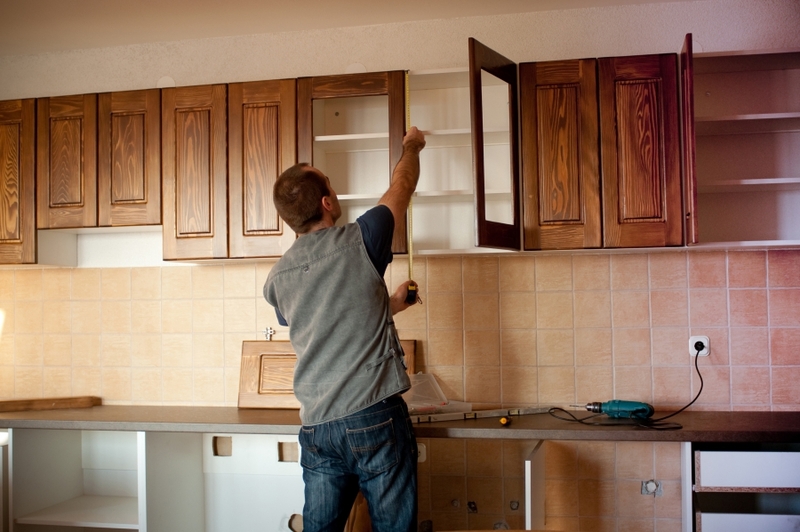 If your cabinets have suffered a lot of cosmetic damages over the years, this stage may require more time. Boxes that are in great condition may not need any repair work at all. Once everything is primed and ready, it is time to begin applying your new finish. Cabinet refacing consists of replacing the outside surface of your cabinet doors and front-facing surfaces, utilizing materials such as our high-quality veneers. Doors that are not in a good condition will typically be replaced at this point. Cabinet refinishing is similar except that nothing is replaced, only the finish is updated. This can include paint, stain, or any treatment to revitalize the look of your kitchen. Applying a new finish to your cabinets’ facings will help to refresh your kitchen, but that isn’t the only step. Our home remodeling contractors will work with you to find the hardware and accessories needed for a full-scale transformation. Most of the value of your cabinets is derived from the outward appearance, making this productive measure great for transforming the aesthetics of your kitchen space. The Detail Design team can also work on other aspects of the kitchen that need work, including any remodeling needs to create a well-rounded result for our happy clients. Once the dust settles (and gets swept up! ), our team will walk you through the kitchen and give a guided tour of the services performed to make sure that you are satisfied with the results. Any problems that arise will be fixed immediately to ensure a happy outcome. Customer satisfaction is our top priority, and we’ll work hard to make ensure that you’re completely satisfied with your new kitchen space. When it comes to renovating kitchen cabinets, homeowners have a wide range of styles and combinations to choose from to truly customize the place to make that space their own. 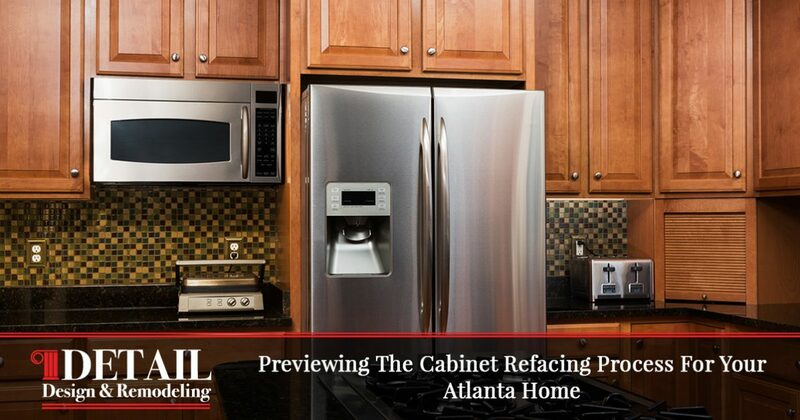 Our craftsmen are proud to provide quality cabinet refacing to Atlanta, Dunwoody, and beyond. 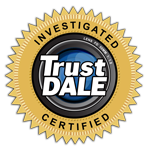 Detail Design & Remodeling was founded to deliver the best results, and we’re ready to show you our process. Contact us today to learn more about our cabinet refinishing services or to receive a quote for your kitchen renovations today!